There is nothing that will stir the heart like the whine of a reel when a Striper or Hybrid Striper has taken your bait. 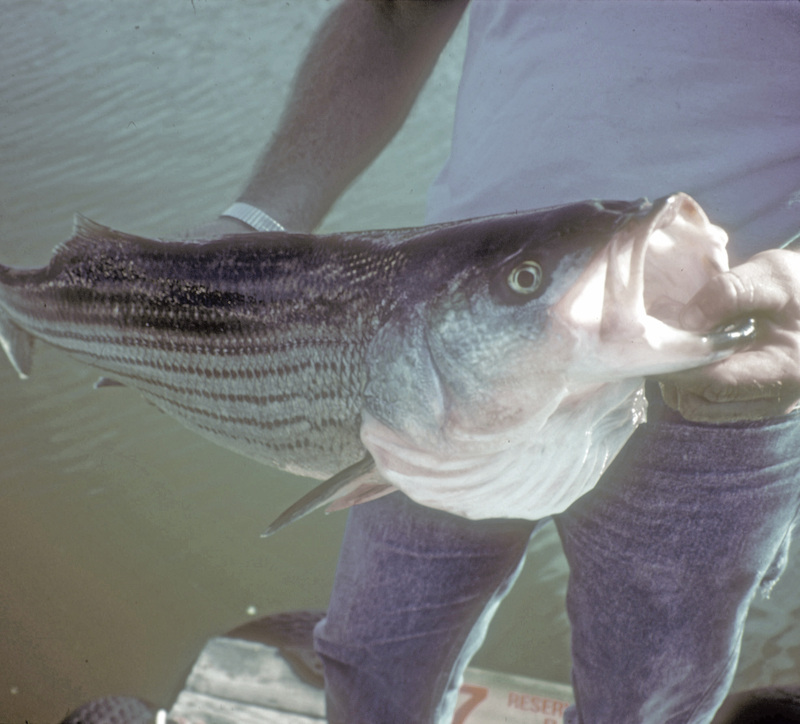 These striped rockets are the state’s greatest battler according to Steve Pall, former IDNR Fisheries Chief. Although Illinois does not aggressively stock the river, Illinois anglers benefit from the extensive stocking program of Kentucky. 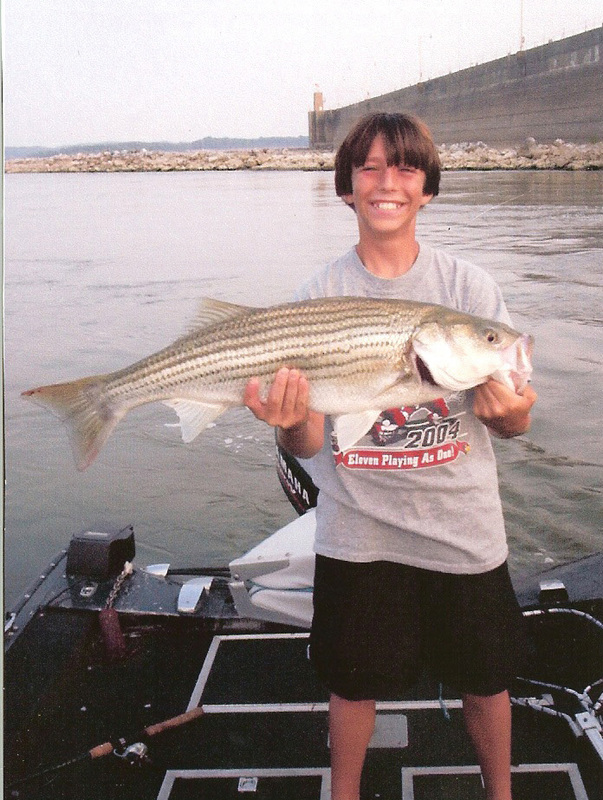 Although the stripers and hybrid stripers are to be found all along the southern edge of Illinois in the Ohio River, it is one of the under fished for species. 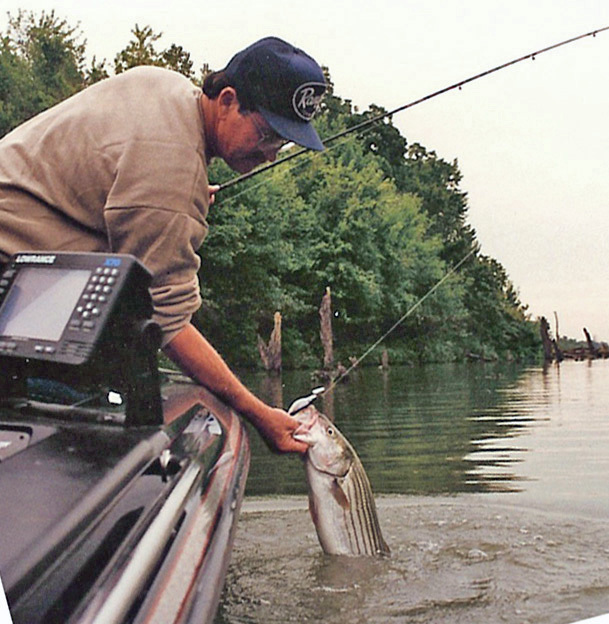 The river produces 3- to 10-pound striped bass and 8- to 10-pound hybrids. 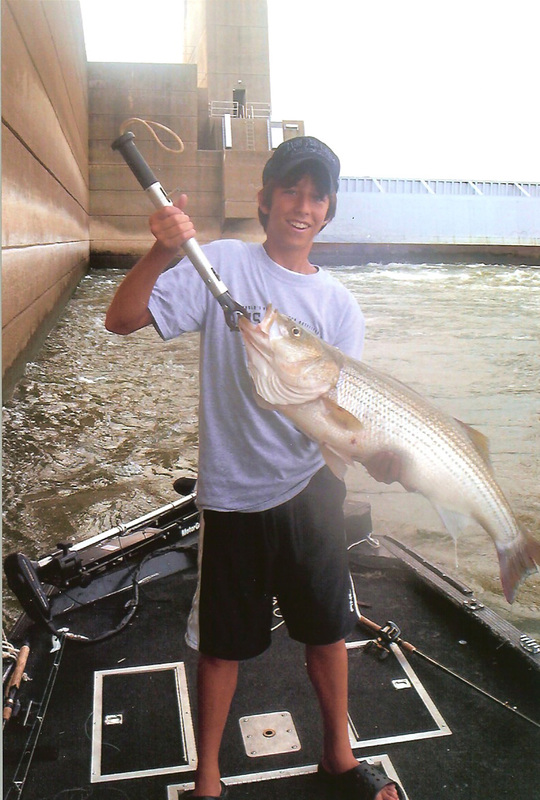 Most of the stripers and hybrids are probably caught incidental to catfish and sauger fishing. They bite on both cut bait and artificial lures. If they are in feeding mode, the fish takes topwater lures like the Zara Spook, according to local angler Charles Vaughn. He fishes the river frequently for stripers. In high water conditions, he prefers the Rat-L-Traps and other crankbaits. If the water is clear, he recommends chrome and black or another other shad imitation. In darker water he selects bright colors. Vaughn prefers 7 to 7 ½ foot rods spooled with 12-pound line in areas where there are rocks. Charles fishes the fast running water in the tailwaters below Smithland Lock and Dam. Fishing from a large flat bottom boat, he anchors with the bow into the current for safety. He reaches the fishing waters by putting in at the Golconda Marina (618-683-5875) and then traveling down stream and through the Lock and Dam. Once through the locks, he then moves back up to the dam area. Stripers are a saltwater relative of the white bass. Stripers have a straighter back and are dark green on top with a brassy tinge that is lighter on the sides. The underside is silver in color. The most prominent feature is the presence of seven or eight narrow horizontal stripes on the sides. Hence the species name. The side stripes on the hybrid are less distinct and definitely broken. Hybrids tend to grow faster making them more popular with anglers. They usually are 5 pounds by the third year of their life. Fishing for the Smithland striped rockets is usually best when he water is at normal pool and moving well. Water in this area of the river can change quickly due to weather and storm water run off from up river. In high water as well as low water conditions the turbidity affects the fishing adversely. Regulars on the river check the U.S. Corps of Engineers website for water levels. The site is at www.CorpsLakes.US. Information on accommodations is available from the Southernmost Tourism Bureau at their website of www.southernmostillinois.com.